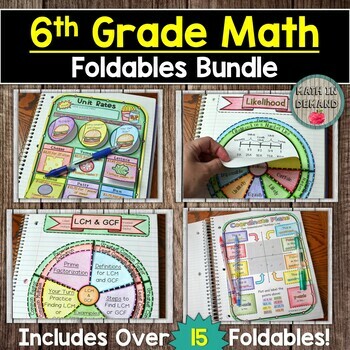 This bundle includes 16 of my 6th grade math foldables in my store. Take advantage of this bundle! Individually the cost of the 16 foldables is over $60. The bundle cost $39.99!